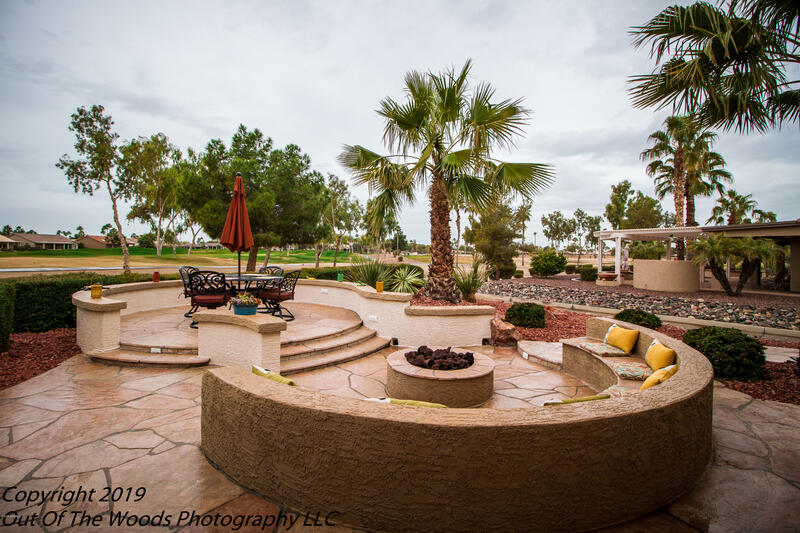 All PEBBLECREEK UNIT 21 homes currently listed for sale in Goodyear as of 04/26/2019 are shown below. You can change the search criteria at any time by pressing the 'Change Search' button below. "STUNNING 18th HOLE VIEW GOLF COURSE LOT IN PEBBLECREEK WITH MOUNTAIN VIEWS!! Beautifully Updated! A Place to call Home! 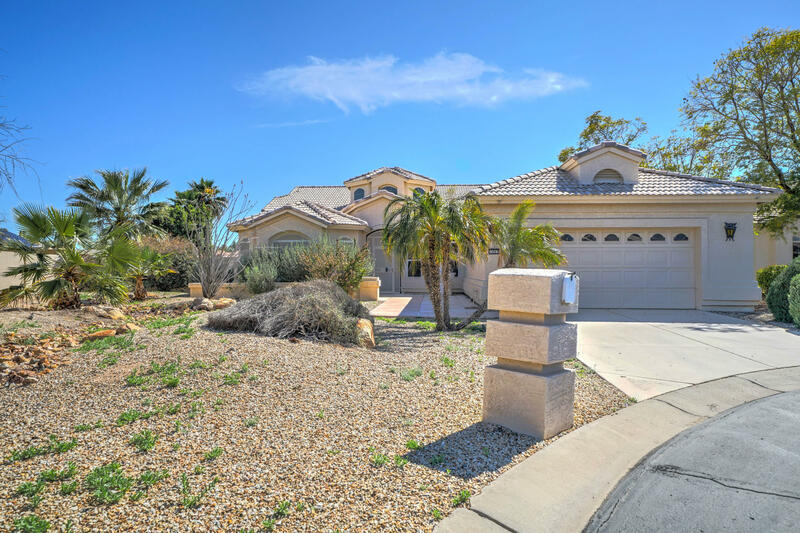 Rare 3 Car Garage, Soaring ceilings and plantation shutters throughout. 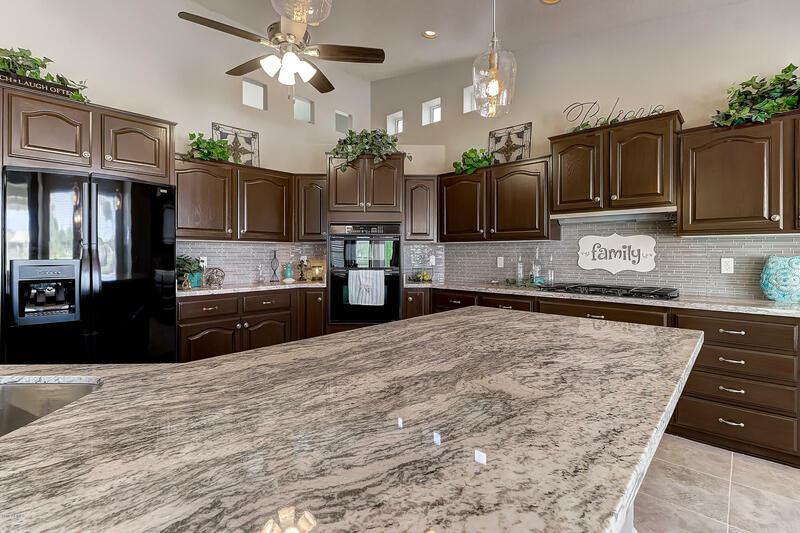 Eat-in kitchen is complete with a plethora of cabinets, Beautiful granite counters throughout, and over sized island with breakfast bar. Laundry room has plenty of storage space and utility sink. Master suite has plush carpet with ceiling fan and private exit to backyard. Spacious walk-in closet with bui"
"Impressive home with fabulous SW views of EN #18 green & White Tank Mtns. Gracious entry opens to remodeled Great Room highlighted by Dagr-designed media wall, vaulted ceilings & extra large windows . Chef's kitchen features slab granite countertops, full-height backsplash, top-of-the-line stainless steel appliances & wood cabinets. Large dining area w/ fireplace & sitting area. Beautiful master suite w/ upgraded bath, including dual vanities, soaking tub, separate shower & walk-in closet. Addtl"
"3 bed/2 bath home on large corner lot in Pebblecreek. Home features include private, heated pool & spa, covered patio, 2 car garage with epoxy floors & cabinets, wet bar, tile floors, large master suite with separate exit to patio, master bedroom sitting room, master bath with double sinks, garden tub & standing shower, vaulted ceiling and open kitchen. This remarkable property is available for immediate sale. The seller is very responsive and the property is a perfect opportunity. Take advantag"